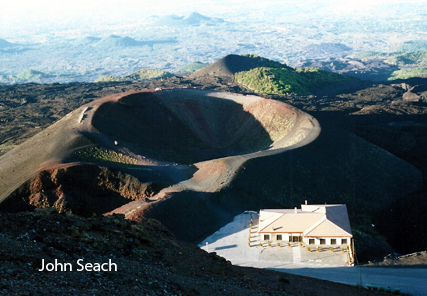 Mt Etna is the largest active volcano in Europe. It has an elliptical base (38 x 47 km) and a maximum elevation of about 3350 m. The volcano dominates the landscape of NE Sicily, Italy. 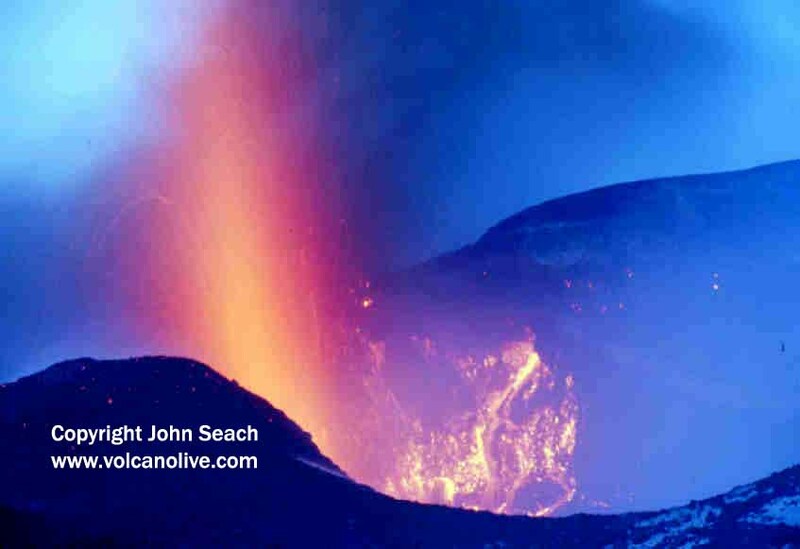 The first eruptions at Etna occurred 500,000 years ago. 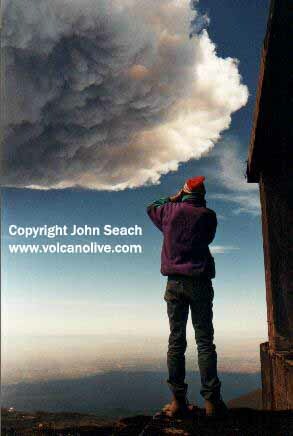 Mt Etna has the longest period of documented eruptions in the world. 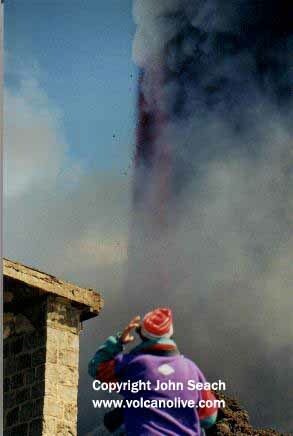 Etna is noted for the wide variety of eruption styles. 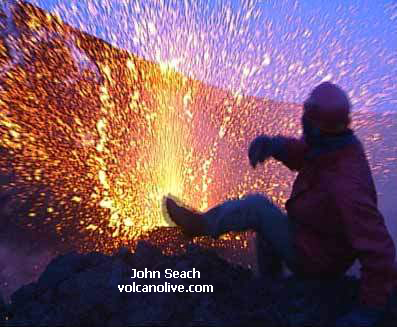 The volcano is at its most spectacular when when both summit and flank eruptions occur simultaneously. 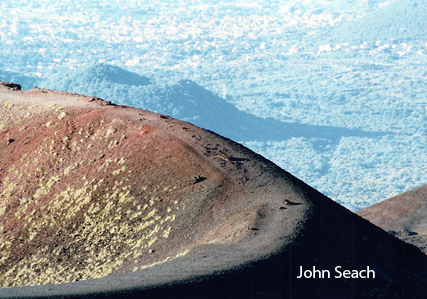 The structure of Mt Etna consists of a series of nested stratovolcanoes, characterised by summit calderas, the most important one being the Ellittico Caldera, which formed about 14,000-15,000 years ago. 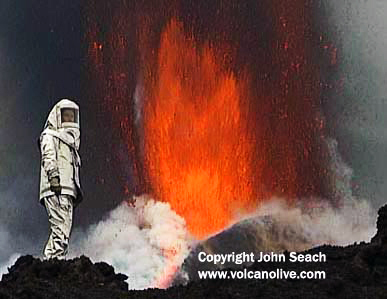 Historically Mt Etna has produced effusive activity; however several pyroclastic deposits related to Plinian eruptions have been identified in the Holocene sequence. 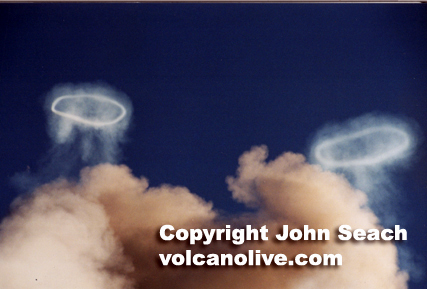 Under open vent conditions, ash emission only occurs during flank eruptions of Mt Etna volcano. area is generally dominated by N-S compression as the result of subduction of the African tectonic plate under the Eurasian plate.